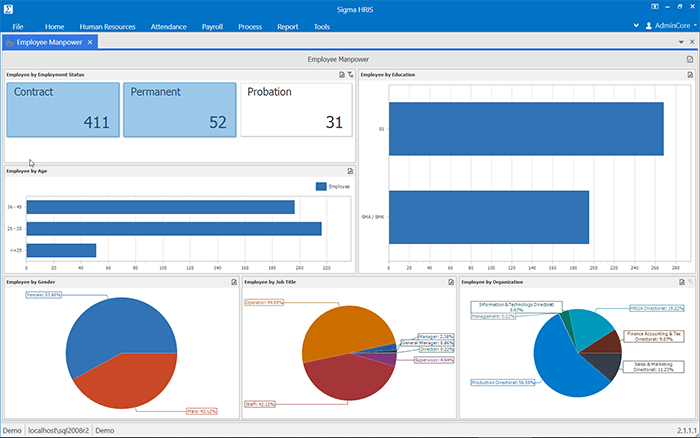 Easily manage and control employee information across organization. We provide you with most comprehensive and easy employee management module. 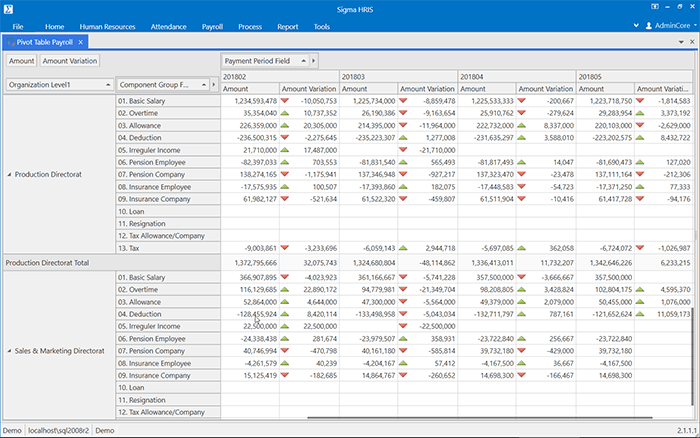 Manage your company payroll through our complete payroll management module. Designed to provide accurate calculation and compliance with your company payroll policy. Improve your accuracy of decision making by analyzing multiple HR perspective. Providing you with simple and easy data analysis specially tailored to suit your needs. Improve your company productivity through shifting, attendance, and overtime. 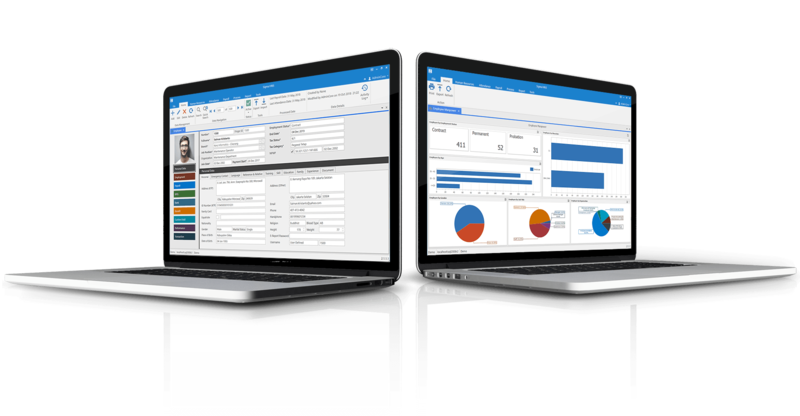 Create most optimal shift combination, plan overtime, and manage attendance based on your company needs. 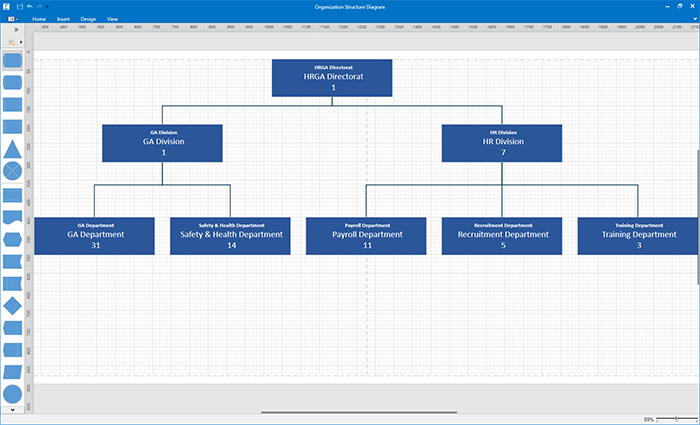 Get an overview on your organization structure. Easily prepare, plan and analyze organizational transformation to meet current dynamic business environment. 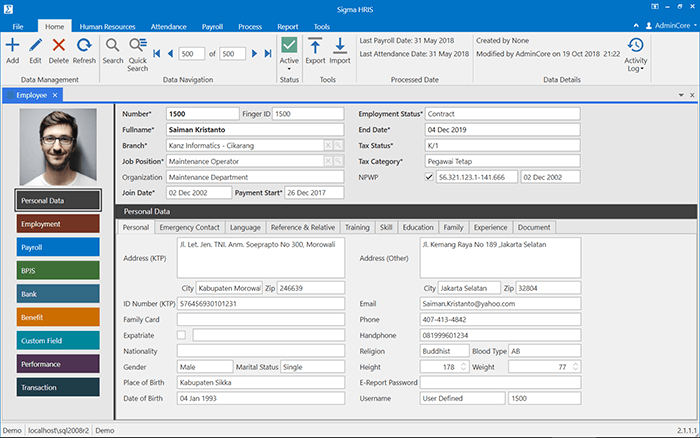 Easily generate employee insurance and government regulated tax calculation. 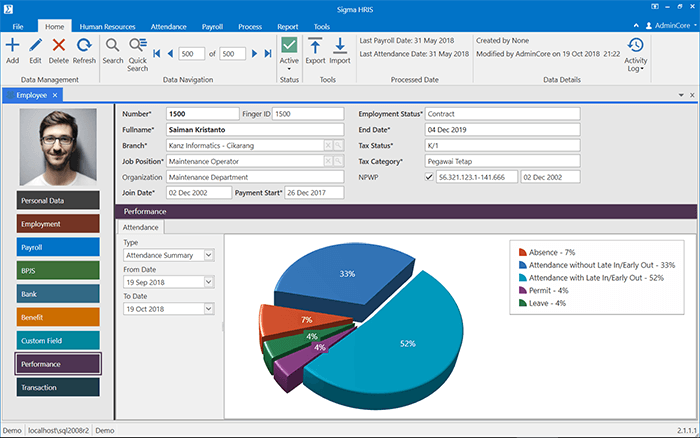 Sigma HRIS Core Module built to comply with government tax policy. 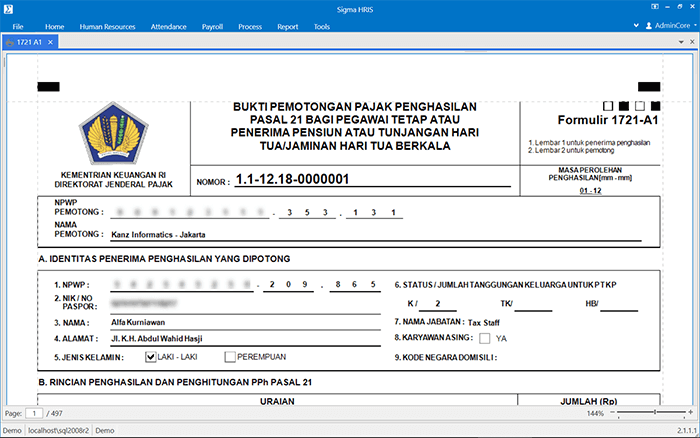 Sigma HRIS Core Module is a Payroll Software Indonesia to manage HR, attendance, payroll, BPJS & PPh 21. 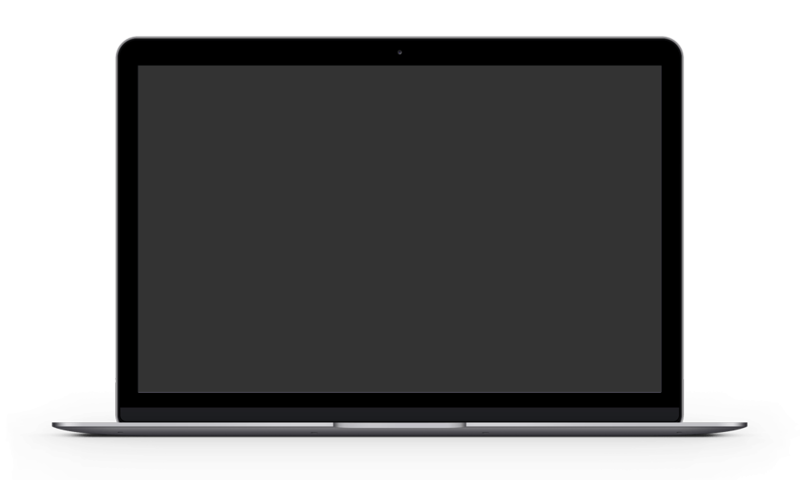 Sigma HRIS is a package software that is ready and flexible to suit the needs of your company. Optimize your team performance by simplifying high diversity and complex human resource environment. As a package application, we are using latest stable technology to continuously improve speed, features and user convenience. 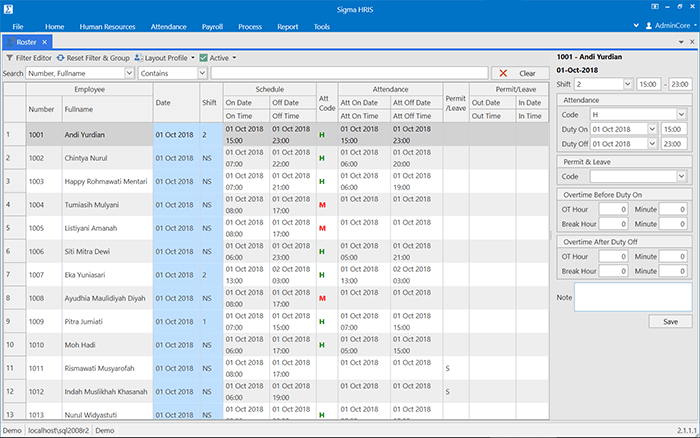 Convenient way to track and improve employee productivity by leveraging attendance management. Simplify payroll processing with flexible setting to ensure compliance with dynamic regulation. Fast secure payroll processing and comprehensive reports tailored just for your needs.